Challenges: lift the person before you, I lifted Scrapanda's Be something you love and understand. Also for hoard and volume. Love the tree! Super cute LO! Cute pictures. Love the tree and the banner. So adorable. I love the foot print reindeer. Love how you decorated the tree and that reindeer print is awesome. Great photos, too! Adorable! Love the footprint Rudolph! Such a pretty Christmas page. Cute little foot prints on an adorable layout! Great family memento! Aw Tina - this one is just beyond adorable! 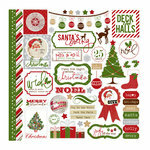 How cute is that little footprint reindeer?! A really delightful lo! This is so stinkin' cute! Beautiful! I love how you did the Christmas tree and how incorporated the little footprint. Perfect! Oh my, that footprint reindeer is precious. 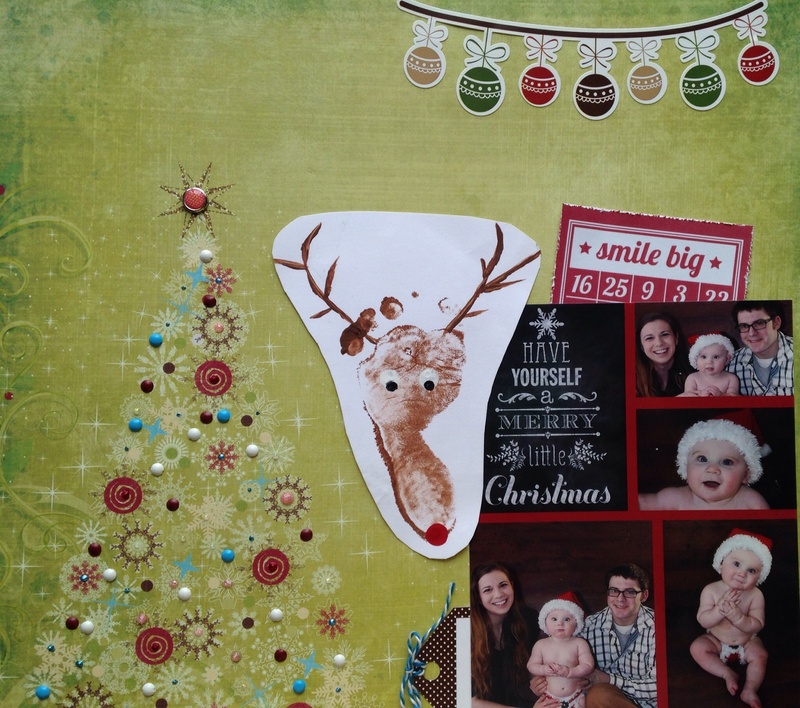 Awesome layout using the Christmas card, and I love the way you embellished the Christmas tree. omgosh that baby footprint Rudolph is wonderful! Fabulous take on the lift! Love that footprint idea! So cute! Love the footprint reindeer!